In the 2010 UK general election, there were queues at polling stations leaving citizens unable to vote. I am currently co-directing a research network of leading scholars who are working on electoral management. You can find out more on the electoralmanagement.com website that we run. We have recently held workshops with practitioners and researcher from around the world in Oslo and Boston. I am currently working on a monograph – found out more here. Coming to a bookshop near you soon(..ish). 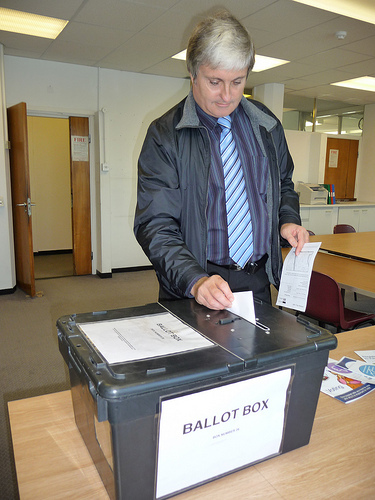 Surveying Electoral Management Bodies worldwide. This is a collaborative project with some excellent international colleagues – research findings will follow. Funding electoral services. In a recent publication we set out how public sector austerity can affect the management of elections. New challenges in electoral management. The twenty-first century has brought about many new challenges to emerge in many established democracies that make running elections more difficult for electoral administrators (see: this paper). Centralising electoral management. Greater central control electoral management can lead to some unforeseen negative consequences (and yet also some positive ones) (see: this paper). Individual electoral registration. Implementing major changes, such as those to voter registration, can lead to many unintended consequences on other aspects of electoral management (see: this paper). UK Poll Worker Survey 2015. With Dr. Alistair Clark (University of Newcastle) which will involve the first ever survey of poll workers in the UK. This is funded by the British Academy and Leverhulme Trust. The quality of electoral management at the UK Brexit referendum. In a recent report funded by the Electoral Commission, Alistair Clark and I assess the UK’s electoral machinery. (2017) ‘The cost of elections: The effects of public sector austerity on electoral integrity and voter engagement,’ Public Money and Management, volume 37(7) (pdf). (2016) ‘Why volunteer? The motivations of polling station workers on election day’ Paper for the Political Studies Association Conference, March 2016, with Alistair Clark. (2015) ‘Using Performance Benchmark Standards to improve Electoral Management‘, in ACE Case Studies, Stockholm: International Idea. (2015) ‘Assessing the independence of electoral management boards: A policy network approach’,Paper for the American Political Science Conference, San Francisco, August/September 2015. Also presented at a Irish Research Council Workshop, Cork, October 2015. 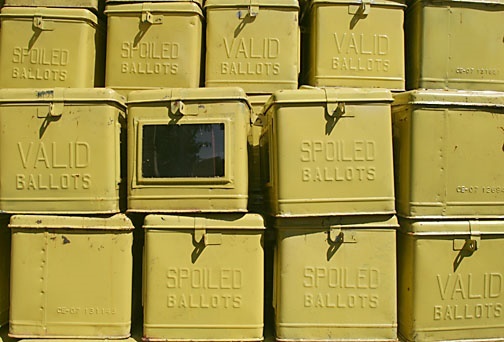 (2015) ‘The Unsung Heroes of Electoral Democracy: Poll Workers and Electoral Integrity in Britain‘, Paper for the Pre-APSA Workshop on Electoral Integrity, San Francisco, September 2015, with Alistair Clark. (2014) ‘The Spill-over and Displacement Effects of Implementing Election Administration Reforms: Introducing Individual Electoral Registration in Britain’, Parliamentary Affairs, first published online 25 June 2012. (2014) ‘Electoral Management in Britain’ in Pippa Norris, Richard Frank and Ferran Matinez I Coma (eds) Advancing Electoral Integrity (New York: Oxford University Press). (2013) ‘Fixing U.K. Failures of Electoral Management’, Electoral Studies, 32(4), December 2013, p. 597–608. (2013) ‘Centralising Electoral Management: Lessons from the U.K.’ Pre-APSA Workshop on Electoral Integrity, Chicago, 28th August 2013. (2017) The Cost of Elections: Funding Electoral Services in England and Wales, ClearView Research: London, with Tyrone Jervier, June 2017. (2016) ‘An Evaluation of Electoral Administration at the EU Referendum,’ Electoral Commission, September 2016, with Alistair Clark. (2016) ‘Getting the missing millions back on the electoral register,’the All Party Parliamentary Group on Voter Registration, April 2016, with Bite the Ballot. (2014) ‘Voter Engagement in the UK – second submission‘, Evidence to the The Political and Constitutional Reform Select Committee, House of Commons, 27 August 2014. (2014) ‘Voter Engagement in the U.K.‘, Oral Evidence to the The Political and Constitutional Reform Select Committee, House of Commons, 3 April 2014. (2014) ‘Voter Engagement in the U.K.‘, Evidence to the The Political and Constitutional Reform Select Committee, House of Commons, 23 February 2014. (2017) ‘Why isn’t the electoral registration process fully online?’, Open Democracy, 29th March 2017, with Caroline Lucas MP. (2017) ‘Now they’re on a roll: how to get the missing millions onto the electoral register,’Democratic Audit, 8th March 2017, with Josh Dell and Lord Chris Rennard. (2016) ‘Let’s stop the last minute registration rush: It’s time for a complete and inclusive electoral register for Britain,’ Democratic Audit, 3rd June 2016, with Chris Rennard and Oliver Sidorczuk. (2015), ‘The UK’s electoral infrastructure is functional due to the efforts of many individuals, but it cannot be taken for granted,’ Democratic Audit, 29th September 2015, with Alistair Clark. (2014) ‘Electoral management issues were the dog that didn’t bark in the Scottish night‘, Democratic Audit, 19th September 2014. (2014) ‘Postal voting and electoral fraud: a reply to Richard Mawrey QC’, Democratic Audit, 12 March 2014. (2014) ‘Same-day electoral registration would increase voter engagement and improve British democracy’, Democratic Audit, 3 March 2014.